Our college ministry believes that the possibilities are endless with a people fully surrendered to jesus. We desire to love god, love each other, and live on mission in every area of our lives. Spring Break 2020. This week is one of the biggest highlights of our year! On the trip, we minister to the students of college campuses in other cities. We partner with local churches to share the gospel, serve practically, and build relationships, helping connect people to lasting community. November 2019. This is an amazing opportunity to get away from distractions of everyday life and retreat into Jesus. This weekend includes times of worship, teaching, and fun activities with your community. Every year is different, but we always encounter God in life-changing ways! In weekly Lifegroups, we experience community and learn to grow as followers of Jesus through investment in each other's lives and by reaching out to others. These weekly gatherings are modeled after Acts 2:42-47 as we worship Jesus, study the Bible, pray for one another, and build genuine friendships. 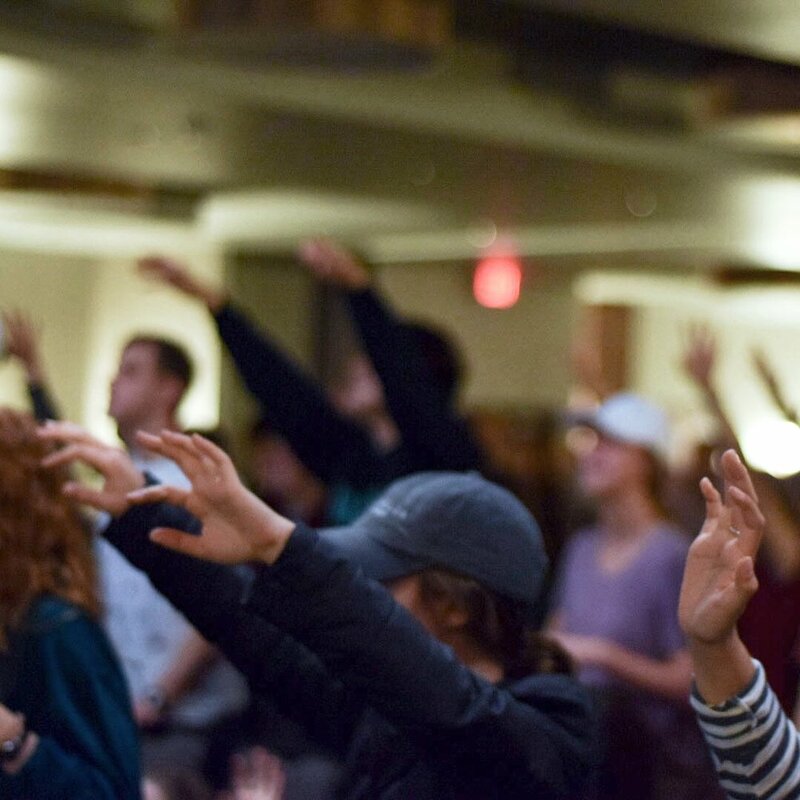 Sunday nights at 7pm, hundreds of college students gather to have fun, worship God, hear testimonies about what He is doing in our city, and listen to engaging teachings from the Word of God.